About JSB Design & Manufacturing, Inc.
JSB Design & Manufacturing Inc > About JSB Design & Manufacturing, Inc.
JSB DESIGN & MANUFACTURING, INC.
At JSB Design & Manufacturing, Inc., John Bradshaw serves as the foundation of our team. 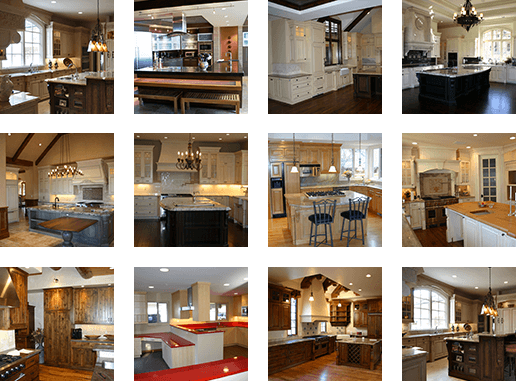 As the founder of JSB Design, John has been designing and building custom cabinetry in the Denver metro area since 1988. With quality as our top priority, our team is always innovating and striving to create better products that will fit each of our client’s specific needs. We enjoy pushing the limits of design and engineering in order to create amazing custom cabinetry and furniture pieces. The end result of our process… Beautiful designs, and happy clients! Our design team has the knowledge, experience, and tools to bring your dreams to life. We believe that the best designs are born from clear role definition, honest and open communication, and trust. We have a design studio and a state of the art workshop, but the most important thing we have is a passion for creating finely crafted, top of the line, one of a kind projects for you, our customer. At JSB Design & Manufacturing, Inc., we keep our installation crew in-house in order to ensure that each piece is held to the highest standards of quality and service that we offer from start to finish. JSB Design & Manufacturing, Inc. is a preferred retailer and distributor for Shilo Cabinetry, Eclipse Cabinetry, Aspect Cabinetry, and K.I.B. Direct. As a preferred retailer and distributor, JSB Design can use their stock cabinetry to design custom spaces that will fit your kitchen and your style. We can then order your cabinets direct from the manufacturer and properly install them your home.